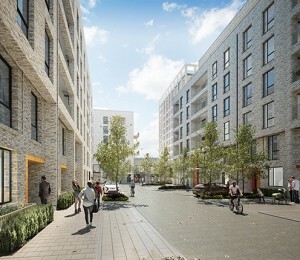 With a brief to deliver a high-quality, landmark building and drive the long-term regeneration of Stratford, Icona Point transforms a derelict site overlooking the Olympic Park into a mixed use scheme delivering 249 apartments together with commercial space in an 18 storey tower and two blocks of seven and four storeys. 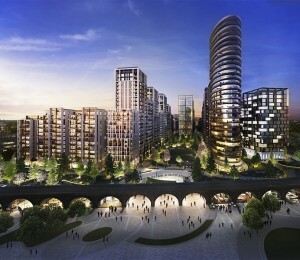 Led by a detailed urban analysis of the emerging townscape, the scheme was designed with a bold elliptical shape and clad with a brightly coloured façade to cement its prominent status. 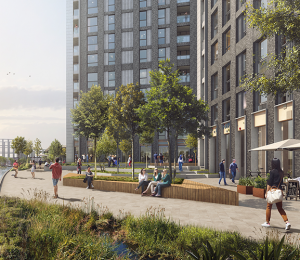 A central landscaped courtyard connects the blocks and encourages an integrated community and a new walkway extends through to the river frontage. 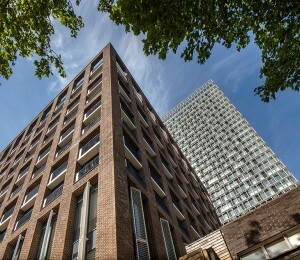 The external envelope of steel and glass balconies, aluminium panels and distinctive fins were prefabricated and their installation completed without scaffolding.